My name is Zhaoting Wei, a Chinese student studying in Sweden. As an exchange student, I will stay in The University of Tokyo, Urban Design Lab to study for one semester. Last week, I went to a lovely small town called Tomonoura with Prof. Nakajima and some of my friends from UD Lab for site research and vacant houses survey. This is my first time to take part in a Japanese project. Here, I am going to talk about my experience and impression about Tomonoura and this site research. 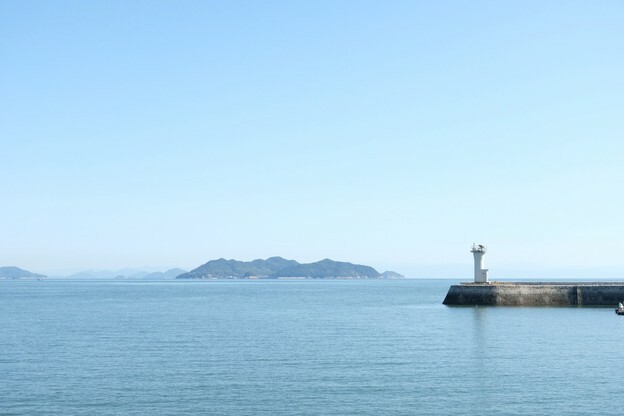 Located in the costal line of Seto Inland Sea, Tomonoura is a small harbour 14 kilometres away from in Fukuyama city. In ancient time, it was a prosperous port because of its advantaged location. From Hansung (now Seoul) to Edo (now Tokyo), Tomonoura is one of the station for the Korean envoys when communicating with Japan. However, after entering modern time, the decline of sea trading and loss of city attractiveness lead Tomonoura to a new dilemma, that is the problem of scarce young population and growing aging society, which is one of the most severe social problem in Japan. 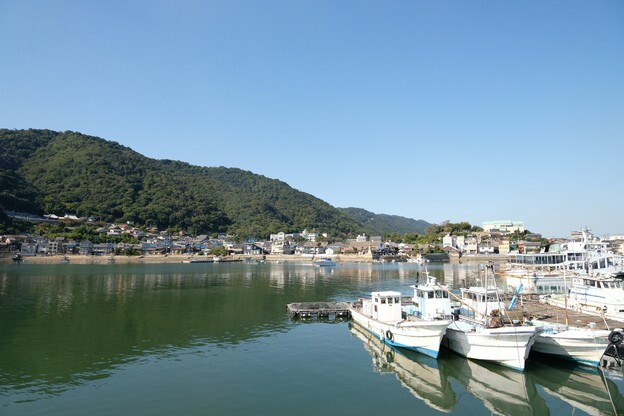 As gold will finally shine no matter where it is, Tomonoura, is now grabbing another opportunity to be attractive again to tourists thanks to its charming harbor landscape and peaceful atmosphere. One important turning point for Tomonoura is that, the famous director with international reputation, Miyazaki Hayao, stay in Tomonoura for two months to draw down the beautiful harbour landscape for his film, Ponyo on the cliff. If Ponyo on the cliff contributes to the Tomonoura become an attractive sightseeing destination again among Japanese tourists, then another Hollywood film, The Wolverine II, makes a lot of foreigners from western countries visit here. During the weekend in Tomonoura, although it is a small town compared to other big cities in Japan, we can still see many tourists from different countries walking around there. What did we do in Tomonoura? Traveling by Sunrise Seto Line, I spent a night in a clean and tidy sleeper train and arrived in Fukuyama in the early morning the next day. After the arrival, I still need to continue to take the shuttle bus from Fukuyama to Tomonoura. This bus seems to be a special car from the bustling and noisy downtown to the peaceful and quiet town. The people along the way are gradually scarce and the scenery gradually emerges. In addition to the beautiful view, it is followed by more run-down houses and elderly people living alone. The main task of this site research, is to count the number of vacant houses and investigate their current situation. With Ms. Yamaguchi and Prof. Konagaya, we walk around Tomonoura for 2 days. We checked hundreds of houses to see whether they are vacant or not. If so, we also needed to fill in a form for every vacant house with photos to record its current situation in details, including house damage situation, traces of daily life (name plate, letters, plants, etc.) and so on. When we were checking the houses, we also met some kind and friendly local residents. They passionately told us their personal feelings and situation about Tomonoura (unfortunately I cannot understand Japanese but thanks to Ms. Yamaguchi translated for me all the time). In my opinion, instead of recording the vacant houses’ situation, to hear, to understand local residents’ thoughts is the most valuable part of site research. In addition to being investigators, in Tomonoura, we were tourists as well. Therefore, during the leisure time we went to some sightseeing spots to experience the charm of Tomonoura. 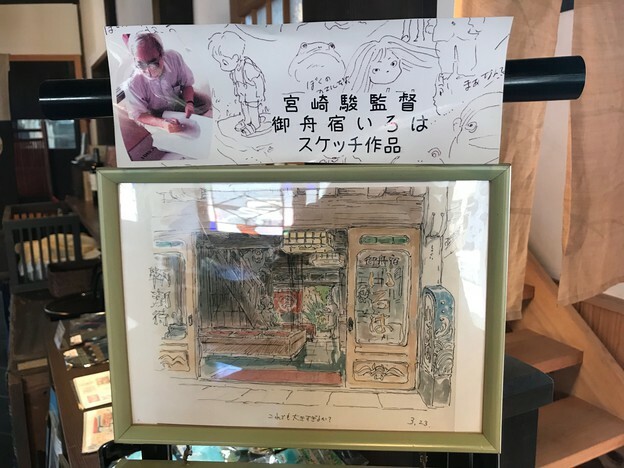 During the trip in Tomonoura, in addition to the task of site research, as a student who is mainly engaged in communication and learning, I was more concerning about the attractiveness of Tomonoura itself, and the opportunities and challenges it will face if it is to develop as a tourist town in the future. Although I am a foreign student, I have a similar cultural background from Japan. That is the reason why that when I stepped into Tomonoura, I felt very similar to the rural suburbs of China. 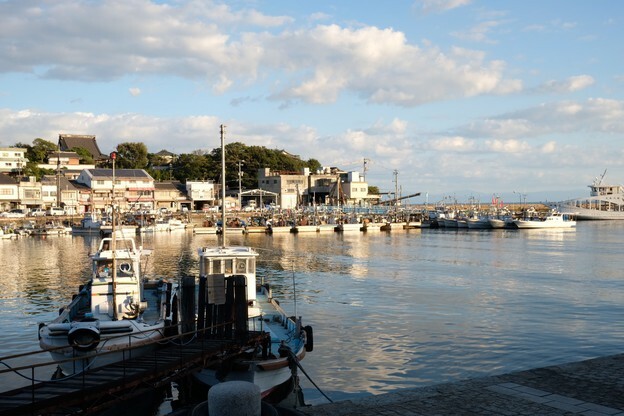 But for me, Tomonoura's greatest charm, in addition to its beautiful coastal harbour scenery, is the unpolished simplicity and nature of the Tomonoura itself. In China, due to the boom of tourism industry, more and more peaceful and quite lakeside or riverside towns have become stereotyped after the introduction of tourism. Unfortunately, excessive commercial development has caused these towns to lose their original artistic appeal and eventually become noisy tourist attractions. During the weekend in Tomonoura, I was able to see so many foreign tourists just sit on the stone steps to relax and enjoy the feelings of the sea breeze and sunshine. Nowadays, commercial areas for shopping are everywhere, but places that make people feel calm are rare. Maybe this is the reason why Tomonoura can attract people from different countries to stay here for a short period. 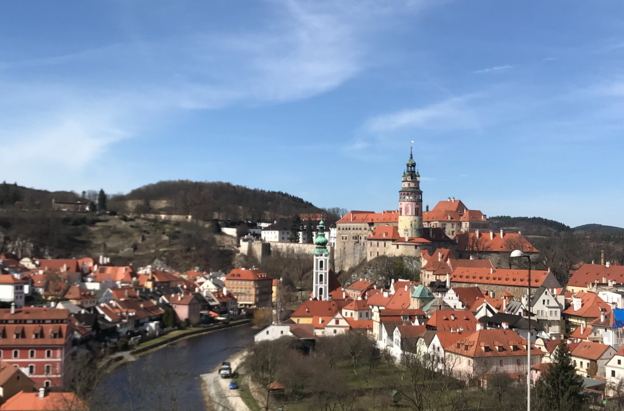 During my first postgraduate year in Europe, I went to several charming small towns in different countries, Český Krumlov in Czech and Hallstatt in Austria left me deep impression. Český Krumlov is a Medieval town, while Hallstatt is well-known for its excellent lake view. 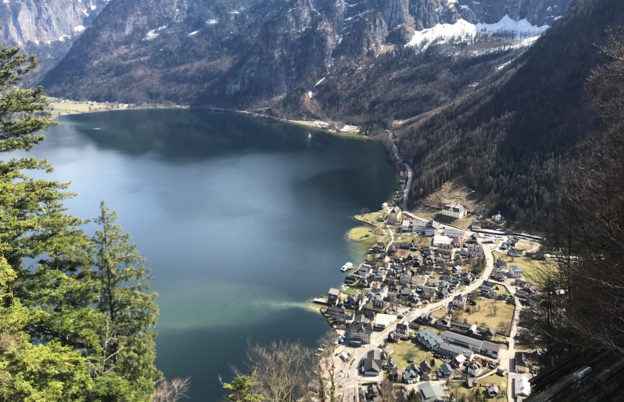 Although the public transportation conditions to these two towns are weak, there are still many tourists from different countries mainly because of because of its natural styles and features distinctive from other large cities in Europe. However, what impressed me the most is that, even if there are a large number of tourists visiting here, the shops and restaurants here will close at around 5 pm. I am surprised and pleased to see that, although the tourism industry has arisen in these towns, the balance between local residents’ daily lives and commercial activities can be maintained properly. I believe this may be the best direction for towns to developed tourism industry, including Tomonoura. 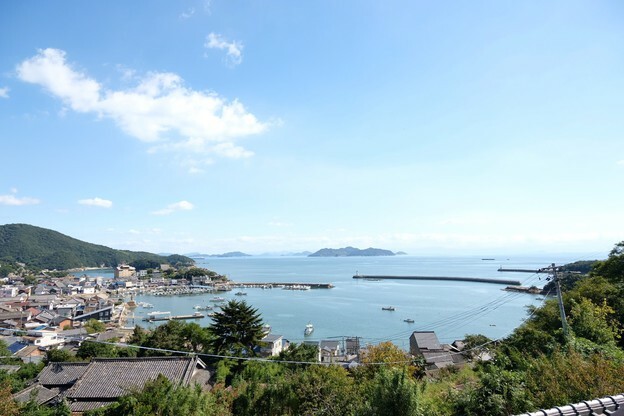 Even though Tomonoura is with great potential to be developed with tourism industry, we still cannot deny that it is now confronting the dilemma of aging population and a large number of vacant houses. Through the investigation, my team has already counted almost one hundred vacant houses, and I guess the total number of vacant houses is estimated to be very alarming. All the hopeful visions mentioned above need to be realized taken actions by creative and energetic people. 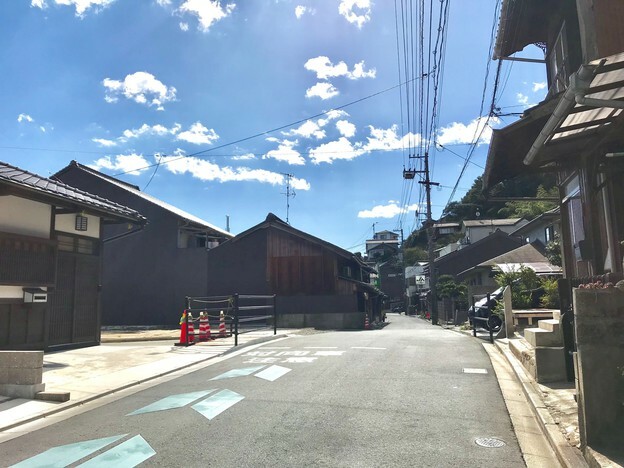 How to attract and keep young population staying here to struggle for Tomonoura’s future is one of the biggest task for this town (maybe is also for other towns in Japan because of the widely aging problem). On the other hands, the large number of vacant houses is kind of an occupancy of land resources, which is wasteful and worth to be adjusted or transformed. In my opinion, one solution is that, as local homestay hotel for tourists is a popular trend all over the world in different tourism cities and towns, vacant houses can be re-develop in order fit the development of Tomonoura’s tourism industry (if the owner of the houses agree with it). I am pleased and grateful that I have such a great opportunity to visit and investigate this lovely and peaceful town, Tomonoura. 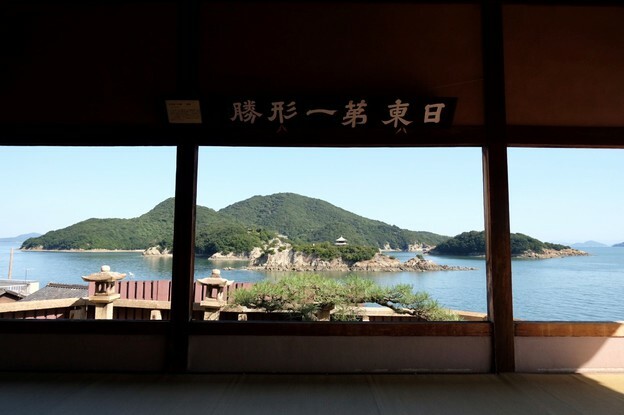 Although Tomonoura has great attractiveness of scenery and atmosphere, for tourists, it is still in minority. I sincerely hope that the current problems in Tomonoura can be well improved so that its beauty and charm can be discovered by more people.